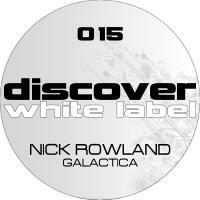 Since his first release back in 2002 Nick has shown his talents by writing, co-producing & engineering a wide variety of music for some of the UKs largest dance music labels and has gained support from some of the industries biggest players. Since his introduction to the scene Nick has worked with some of the biggest names in dance music, including Solarstone, Ian Betts, Paul Kershaw, Nick Sentience, Phil Reynolds, James Lawson, Rob Tissera, Nick Rafferty and many more. Recording for labels including Solaris, Discover, Deepblue, Six:Thirty, Nukleuz, Tidy, Y2K & Riot! to name but a few. Solo tracks, remixes and co-produced tracks have been supported by DJs across the board, including Paul Van Dyk, Armin Van Buuren, Christopher Lawrence, John Askew, Above & Beyond, Simon Patterson, Ian Betts, DJ Shah, BK, Nick Sentience, Lisa Lashes and many more from both the trance and hard dance scenes.